You play with two teams of two players. The playing order stays the same: blue, yellow, red, and then green. One team controls the blue and red pieces, and the other team controls the yellow and green pieces. At the end of the game, each team calculates its score by adding the scores of its members. The winners are the players of the team with the highest score. Eighty-four - Play as four separate players in a standard four-player game with the aim of getting all 84 pieces on the board. 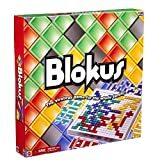 One player controls the blue and red pieces, and the other player controls the yellow and green pieces. At the end of the game each player calculates his/her score by adding the scores for his/her colors. The winner is the player with the highest score. Each player chooses one color; the players alternate playing the extra color. The player order stays the same: blue, yellow, red, and then green. Final scores are calculated in the same way as standard 4-player games. The score of the shared color is ignored. 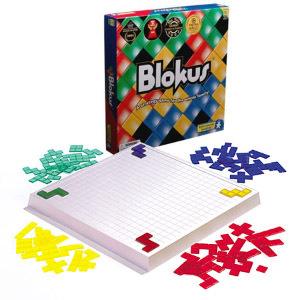 2 Players with 2 Colors: Both players choose a set of 11 pieces and take turns placing them. No piece may exceed the height limitation of the structure (see fig. 5). 2 Players with 4 Colors: Each player uses two colors, alternating their colors. 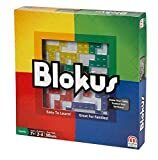 Game play is the same as with 4 players, but when calculating scores, each player adds up the points for both of his/her colors. The winner is the player with the highest score. Alternate rule: Players only score their color with the most points. The other color's points are not counted. Each player chooses a color. The remaining color is not played. Players use their pieces to build as normal, while adhering to the height limitation for three players. 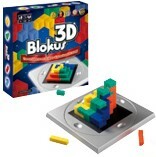 Blokus 3D can be played alone in a variety of ways. Try to build a multicolored cube in various sizes: 3x3x3 or 4x4x4 or 5x5x5. Using pieces of only one color is trickier. How many ways do you think there are to build a 3x3x3 cube with one color? Make play more challenging by adopting the following rule: contacts between pieces of the same color may only be made using the corners. Any contact between the corner of one piece and the side of another piece of the same color is forbidden (see figure 6). If desired, this alternate rule may be applied to any of the variations below. Each player chooses a color. One color will not be played. The game is played only on the shiny squares of the board. The matt-colored squares on the outside edge may not be used (see figure 7). The first piece played by each player must cover one of the starting points indicated by the triangle symbol. There are 6 starting points and 3 players so one starting point should be left unoccupied between each player's starting point. Play order and final score calculation remain the same as in a standard 4-player game. The first piece placed on the board must cover one of the starting points indicated by the triangle symbol. Starting pieces of the same player must be placed symmetrically on the board (see figure 2: the blue piece is placed opposite the red piece and the yellow piece is placed opposite the green piece). At the end of the game, each player calculates his/her score by adding the scores for his/her colors. The winner is the player with the highest score. Eighty-eight - Play as four separate players in a standard four-player game with the aim of getting all 88 pieces on the board. You can also create designs with the pieces.